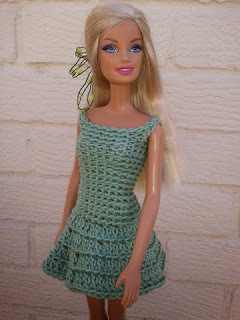 This green dress is the first crochet pattern I made and published for Barbie. I've amended the pattern to reduce the number of increases by increasing only on alternate rounds. 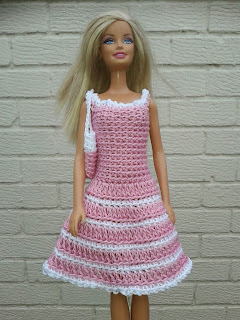 Tip: Any 4 ply yarn would do, I made the dress in some left over sock yarn which was quite interesting. 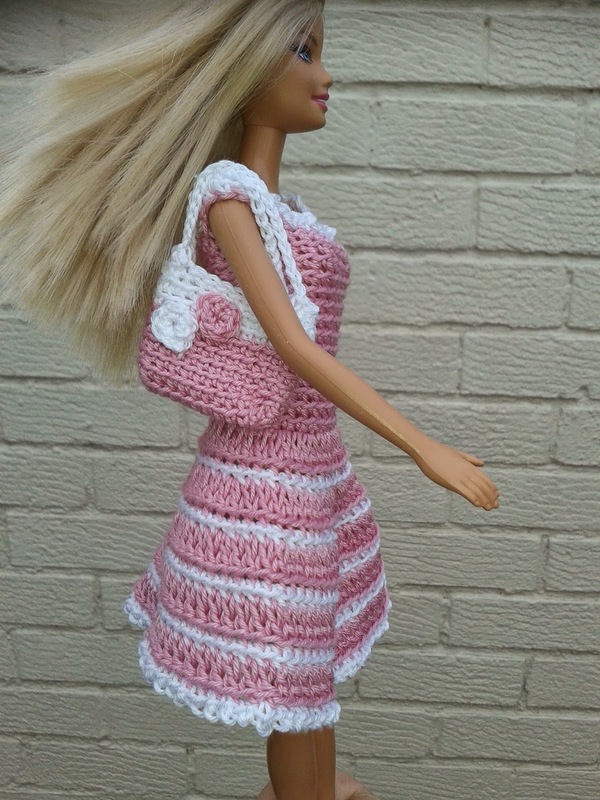 Crochet cotton is not suitable as its too thin. If you find any mistakes or have any queries about this pattern please leave a comment below or contact me. Round 15: 1dc in each of next 4dc, miss next dc, 1 dc in each of 7 ch, miss next dc, 1dc in each of next 5dc, miss next dc, 1dc in each of next 4dc, miss next dc, dc in each of 7ch, miss next dc, dc to end Sl st in next dc fasten off. To make skirt longer continue in rounds as above following increase on every alternate round. 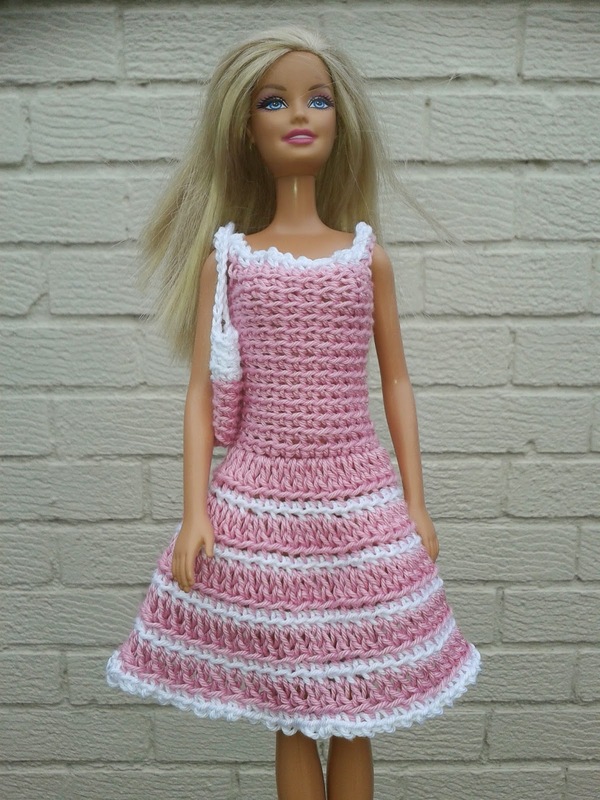 As crochet dress but, after each treble round, work a round of dcs in contrast. Finish skirt hem by working (1dc, 1ch) in contrast around. Using contrast work (1dc, 1ch) around neck edge. Beautiful design, thank you for sharing!